A Y E A R I N M Y K I T C H E N. An account of more or less everything I cooked in the course of a year, presented as an illustrated diary. 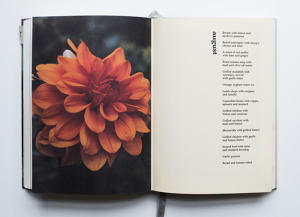 The book goes with the ebb and flow of the seasons, taking in everything from A Vegetable Curry for Six (March 30th) to A Rummage through the Fridge (April 24th.) With straightforward recipes and notes from my diary, some say it is worth the price simply for the Brownie and the double ginger cake recipes, both of which seem to have gathered something of a following. (Thank you for all your emails.) 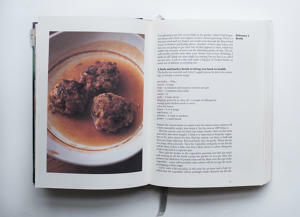 I rather like the pork and lemon meatballs myself (April 20th). Here are notes on chicken stews for snowy days; a soft crust for an apple shortcake; roses for the garden; buying asparagus and the joy of gooseberries. There are discussions on eating in the garden; buying melons at the market; putting blackcurrants in a trifle and what do with chicken wings for a quick supper. 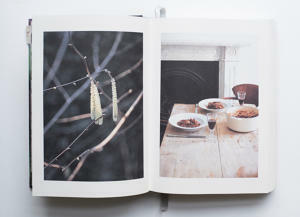 It is both cookbook and chronicle, but most of all this is a book about cooking with nature and the pleasure to be had from eating with the seasons. There are 300 recipes and ideas, 102 of which are without meat or fish. Favourite recipes include: Chicken patties with Rosemary and Pancetta, Pork Chops with Mustard Sauce, Green Prawn Curry, Orange and Lemon Cheesecake, Strawberry Mascarpone Tart and Hot Chocolate Puddings. 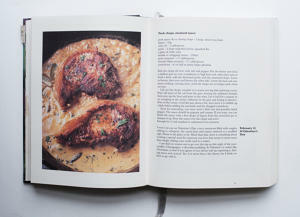 The first in a trilogy of Kitchen Diaries, the book is published in hardback, quarter bound in black linen and has 400 pages. 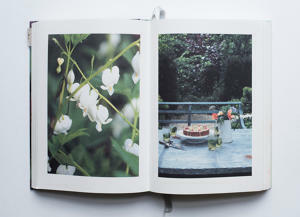 It was photographed by Jonathan Lovekin, designed by Sam Blok and set in Berthold Baskerville. "Vivid and touchingly personal, it is the kind of book you will dip into again and again" Casilda Grigg, Daily Telegraph, Books of the Year. 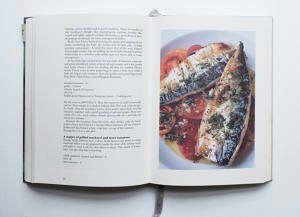 "Slater is a master recipe writer" The Guardian, Books of the Year. "Slater's evocative prose gives the impression that you are already devouring that strawberry mascarpone tart" Financial Times, Books of the Year. 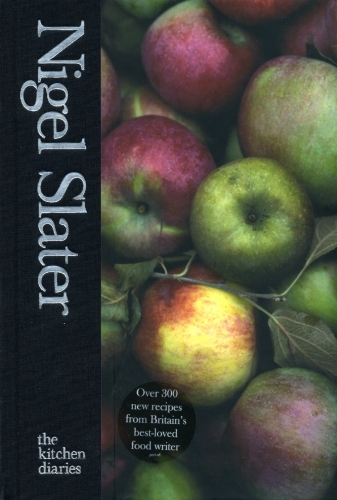 "Slater has become the foodie Pepys" Elfreda Pownall, The Spectator. ISBN 978-0-00-724115-6. Fourth Estate, London 2005, 2007; Gotham Press, New York, 2006, 2007. Fontaine Uitgevers, Holland, 2013.